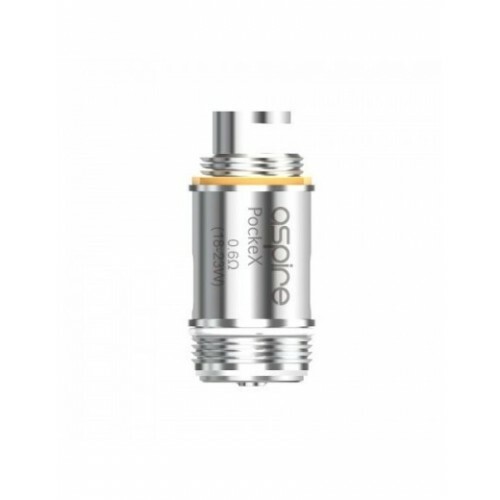 Aspire PockeX Replacement heating coil is a 0.6Ω stainless steel(316L) coil, using Aspire's U-T.. 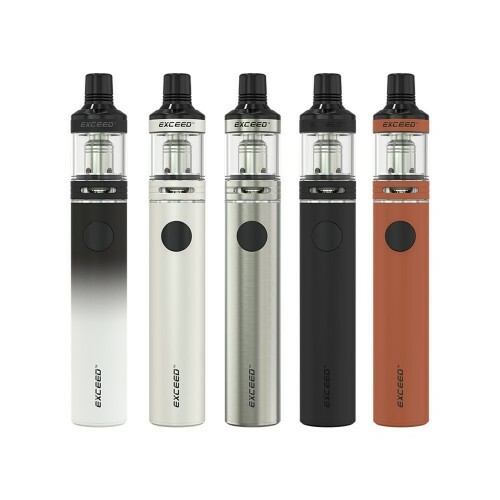 The new Kanger SOCC (Single Organic Cotton Coil) is an updated version of the Single Coil heads. Mad..
A buttery crust surrounding juicy, sweet apples. A hint of cinnamon. The fresh scent wafting through..
Vape the fruits of the forest, a nice mixed berry flavour fresh from natures woods, which is not too..
A sweet tangy flavour which keeps you awake.Bottle size: 10ml 60%VG - 40%PG All Valley Liquids..
Another sweet to take you back to your childhood memories a nice mixed fruit sweet that can now be v..
Like the cherry on top of the cake, nice sweet, smooth flavour like a glazed cherry with no bitter t..
Just like the real thing, one of most refreshing drink on the planet that you can now vape, turn the..
A nice refreshing mint, to freshen the mouth, thats not sweet but nice and minty.Bottle size: 10ml ..
Just like the sweets, mixed fruit flavours with a sweet moorish taste.Bottle size: 10ml 60%VG -..
Straight from the bottle ready to vape. A thirst quenching flavour.Bottle size: 10ml 60%VG - 40..
A nice summer fruit flavour, sweet and smooth just like when cooked in a pie.Bottle size: 10ml ..
Just like a country walk in summer, picking the raspberries off the hedge rows as you go along. A ni..
How about - A delicious banana flavour, that will remind you of the foam banana sweets.Bottle size: ..
A sweet Blackcurrant inhale with a liquorice flavour on the exhale. A perfect balance between the tw.. This liquid is so tasty its like it's full of sun ripened, freshly handpicked pears. There are about..
Just like grandma bakes, the nice soft rhubarb baked in the centre of a pie covered in custard. Just..
Our absinthe eliquid is carefully blended to recreate the flavour of this famous tipple, that when c..
A sweet blackcurrant flavour with a hint of mint, to refresh your airways.Bottle size: 10ml 60%.. Some citrus liquids can be too intrusive, that's why we made a perfect smooth flavour just for our c.. In the Valley Liquids range, we have some special flavours for you, and if you are a coke fan, we ca..
Creamy vanilla for everyone who loves things like pudding, without the dangerous calories! A sweet f..
You'll love the fruity undertone and a cool after sensation that will leave you wanting more and mor..
A combination of fruit flavours with a slight candy twist. Close your eyes and you will feel like yo..
A nice fruity bubble gum flavour that will take you back to your childhood, to the days of blowing b..
Straight from the tree is a nice sweet and tangy orange flavour which tastes just like drinking oran..
A good refreshing menthol that’s not too minty and gives you a nice fresh feeling when inhaled. Just..
Something a bit different, a pleasant combination of menthol and raspberries to give a nice soft swe.. The strongest mint we do to blow your socks off a very strong minty menthol flavour to clear those a..
For the smooth smoker, a very smooth and light tobacco flavour thats not too strong with a little sw..
Sweet cherry with a hint a menthol to keep you fresh and chilled, reminder to the famous cough sweet..
A nice sweet smooth flavour that tastes like a strawberry smoothie, bursting in flavour.Bottle size:.. The first sin of mankind was a bite from an apple from the Tree of Knowledge - but who doesn't want ..
Chocolate? Or mint? Why not both? You can have them together with this juice, and there is no risk o..
A sweet and smooth vanilla flavour with a nice after taste. Has a very nice aroma that’s very relaxi..
Like an American tobacco, straight from the pouch a good strong rolling tobacco flavour that has a l..
A sweet blueberry flavour with a hint of mint, to refresh your airways.Bottle size: 10ml 60%VG ..
Just what everyone needs in the morning a nice cup of filtered coffee with milk and one sugar. A nic..
A traditional british sweet bursting in flavour with a little kick that’s nice and sweet with a refr..
A nice soft mild mint flavour with a nice sweet touch.Bottle size: 10ml 60%VG - 40%PG All Vall..
A mixed tobacco bursting in flavour that has a mild touch with no sweetness and a nice dry taste.Bot..
Tobacco menthol mix for the people who like to roll their own. A nice hint of menthol that you would.. If you want a real tobacco flavour with a sweeter twist, then you should try out this tasty liquid. .. Yeeehaah!!! Now that's one real dry tobacco brought from a traditional redneck farm (maybe it's old ..
A nice summer fruit flavour, just like the fruit with a sweet taste and a slightly bitter after tast..
Mango contains the most delicious taste and excellent aroma of a tender and a fully juice ripe mango..
With most of the mint flavours out on the market there is just one small problem: they all have a st.. If you are curiously craving for a nice cereal flavour with a dash of sugar cinnamon then search no .. When you are wandering about on a funfair in the heat of summer nothing can cool you down as good as.. The best out of all of the summer fruits as a standalone flavour, a gorgeous big Watermelon has arri..
No one thought that someone’s breath could be refreshing and exciting - unless it's the smell of the.. 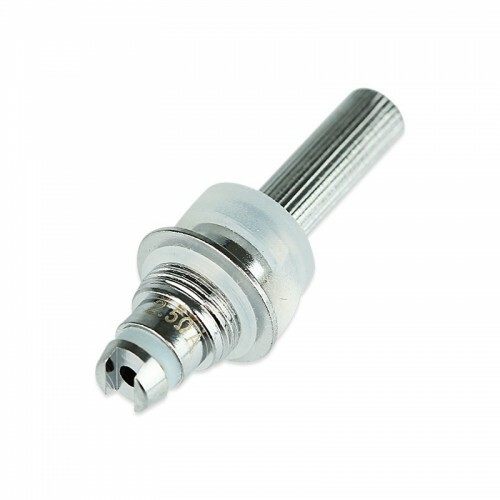 Imagine a nice cold breeze in your throat on the inhale with a sweet tone, but on the exhale comes t.. 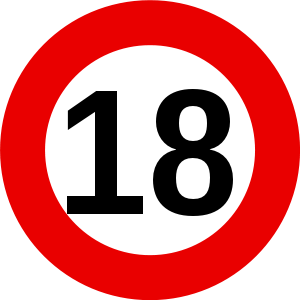 Quitting smoking is a really hard process, it needs endurance and self-control – but you can use a S.. In the heat of summer a fresh lemonade is one of the best drinks to cool yourself down, but sometime..
One of the most popular American cakes is now ready to take over the world in liquid form! The descr..
Can you imagine all of your favourite fruits mixed together in a perfect blend? 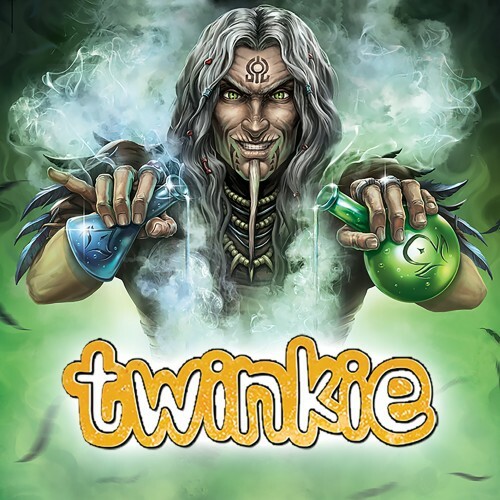 We know what's best ..
For those who are switching from the traditional cigarettes to vaping we wanted to create the best p..
At the Battle of Camlann, King Arthur had been heavily wounded fighting against Mordred, he had to s..
Uncrowned king of the forest fruits meets the perfect cream in this unique liquid. In the inhale the.. Introducing the best Strawberry liquid around with a little added plus! Thanks for the secret recipe.. The Witchcraft liquid range is mostly about blended flavours, but in this case we thought about vape..
Blackjack is afraid of everything which is white. That's what you gonna feel in the liquid spicy aro..
...60%VG - 40%PGAll Witchcraft e-liquids made from the purest Pharmaceutical grade (USP/EP) ingredie.. Surely the Devil had come to SALEM in 1692. Wives, daughters, sisters were taken away for being bewi.. There are some legends about a fair market in Syberia where you can find a small booth selling the m.. Introducing the new flavour from Witchcraft. When you try this unique flavour, it's just like to sin..
A real zingy lemon dessert comes to life with this flavour with a perfect biscuity sensation on the .. The Joker is the ultimate card of the deck, which can transform to anything that you need at the mom..
Summer is not the best season for witches. Their skin is burning by the hot sunlight, but they've fo..
Milkshake fans, this one is for you! Early reviews from customers hinted at a likeness to Yazoo or a.. When Eve took an apple from the Tree of Knowledge, mankind has been banished from Eden – but what ab.. The traditional Fruit Salad is quite a sweet confectionary from our childhood, we just loved to chew.. There are a lot of legends about the full moon, but all of the gossip is about the state of the glor..
Blueberry is one of the most popular flavours out there, but we always like to make something specia.. If you want to stick with the traditional tobacco flavour, then this will suit your needs, because i..
Every ancient Tribe had a profile for their hunters and farmers, the desired animals and plants are .. 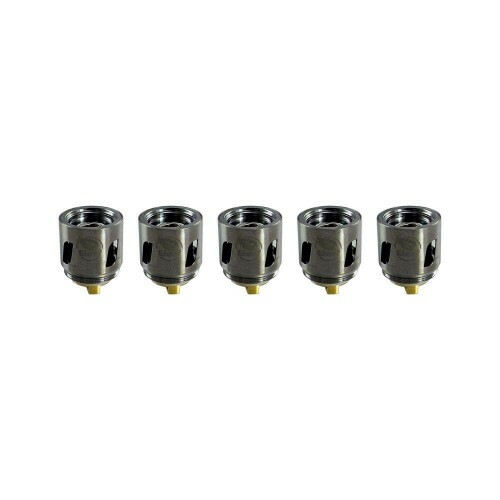 The new EX series heads, including EX 0.5ohm direct-lung head (best at 28W) and EX 1.2ohm mouth-to-l.. 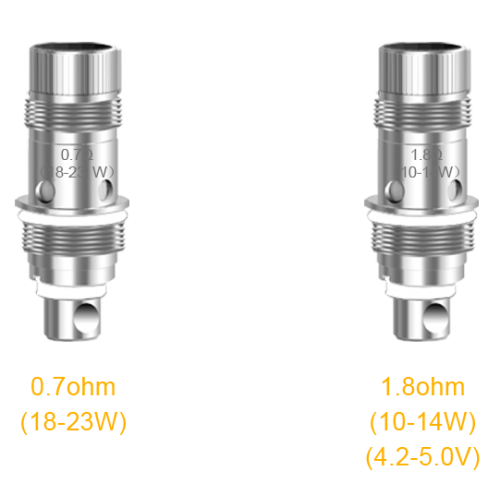 Compatible heating coil head for eLeaf ELLO, iJust Nextgen (HW1)Resistance options:HW1 - 0.2ohm.. 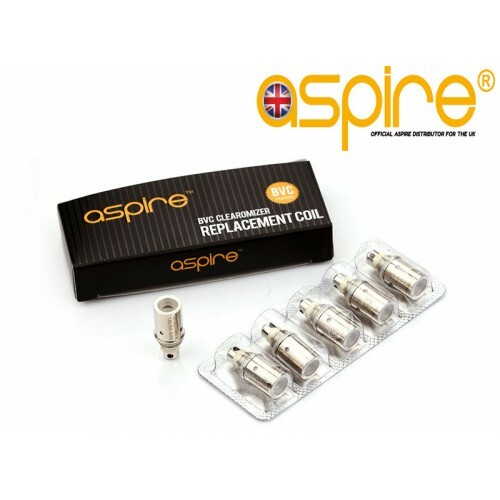 The Aspire BVC coil that drives the Aspire CE5, Aspire ET-s Glass and of course the Aspire K1 & .. 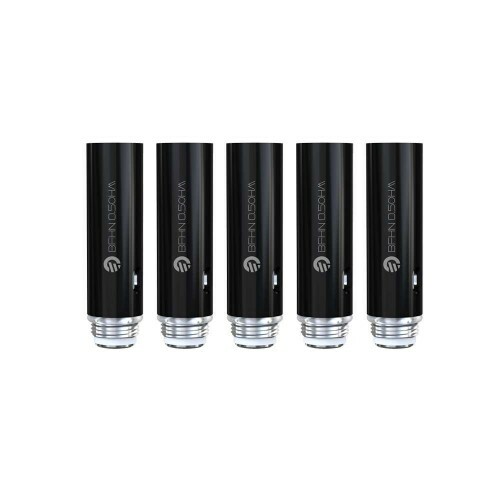 The Joyetech JVIC atomizer heads are an innovative design utilised by the Joyetech ATOPACK Penguin. .. 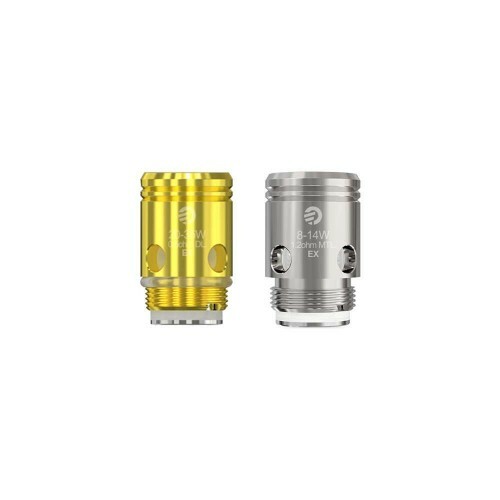 Replacement coils for the Aspire Nautilus and Nautilus 2 tanks.0.7Ω - Works between 18-23W, feels lo..